For years bankers complained markets were too calm. But when stocks and bonds tumbled in the fourth quarter, most trading units suffered. Nervous investors and companies are partly to blame, as are models that push up capital demands. It doesn’t bode well if markets stay choppy. 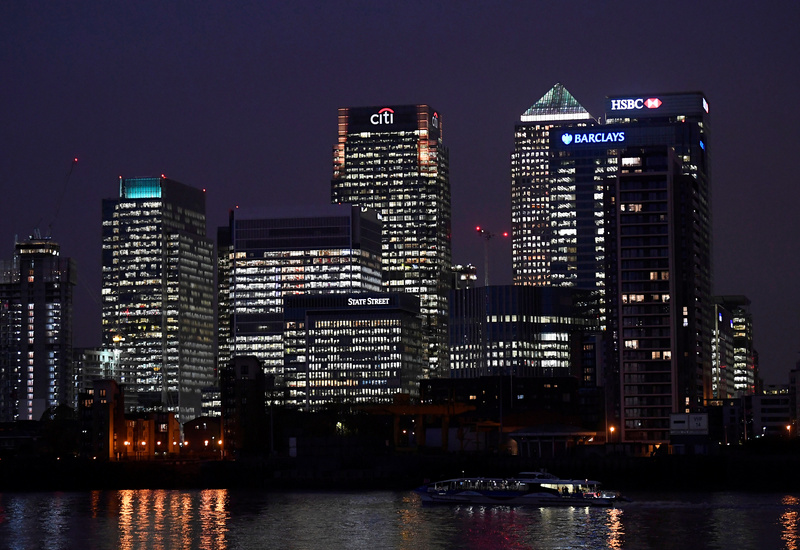 Office blocks of Citi, Barclays, and HSBC banks are seen at dusk in the Canary Wharf financial district in London, Britain November 16, 2017. The eight largest investment banks in the United States and Europe reported combined revenue from underwriting securities and advising on mergers and acquisitions of $8.8 billion in the fourth quarter of 2018, down 5 percent from the same period of 2017, according to figures compiled by Breakingviews based on the banks’ disclosures. Combined proceeds from trading fixed income securities, currencies and commodities fell 16 percent to $7.6 billion. Equity trading revenue at the eight banks rose 8 percent to $7.5 billion. Overall revenue from the three business lines at the eight banks – JPMorgan, Goldman Sachs, Morgan Stanley, Bank of America, UBS, Barclays, Deutsche Bank and Credit Suisse – was down 5 percent year-on-year. Revenue at the U.S. investment banks fell 3 percent, while the European banks reported an 11 percent decline.